OUR DOGS ARE THE BEST! and GENETICALLY UNIQUE BECAUSE WE CREATED THIS AMAZING BREED AND BECAUSE THE PARENTS OF YOUR PUPPY IS ACTUALLY DOING WHAT THEY ARE BRED TO DO! Service - Assistance - Support and Therapy dogs are essentially all the same, they are simply trained in different ways to do different things. They all need to have a steady stable temperament, be trainable, have a desire to please, and in the " Australian cobberdog" be unusually intuitive and adaptable. Some breeders will say they only breed Therapy dogs, that they are better than assistance/service dogs, this is a simple " marketing tool " and not at accurate at all, for any dog or dog breed. ​Many dogs from all walks of life work in many different ways to help people enjoy a better quality of life. The only difference is, Tegan Cobberdogs are purpose developed and bred to be a support dog, The first such breed in the world, making the success rate over an entire litter extremely high and in some cases 100% successful at achieving their service, assistance and therapy accreditations all over the globe. Emotional- Support dogs are separated into two sections Adult and Child even if they have the same needs their personalities and physical and emotional actions will be different, each dog is chosen for the individual situation. Our dogs are not allocated by definition, but rather by their individuality their personalities and their expected ability to thrive in the environment he will grow to love and serve for all his life. Support dogs have consistently had a profound positive affect with children and teenagers with Autism, Downs syndrome, PTS, improving confidence, speech skills and an improved ability to learn and so much more, simply amazing..
Physical- Many emotional support dogs will also double as a physical support dog aiding in their handlers balance. Physical support dogs will also aid in wheelchair mobility, Retrieval and assisting in such things as opening and closing draws, doors, operation pedestrian crossing buttons and a verity of simple tasks we take for granted every day. Medic Alert- Again we have adult and child specialist dogs these dogs are the hero's of the service dog family, saving lives and improving the freedom of their handlers to get out of the home and enjoy life. 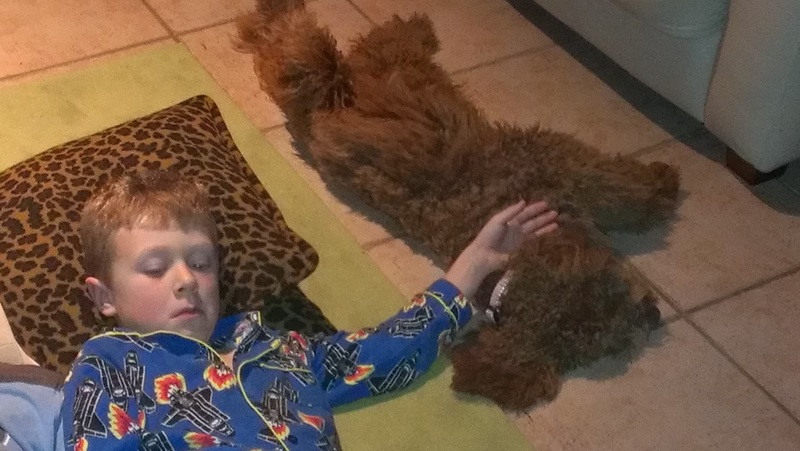 Highly self trainable, incredibly clever and intuitive the Australian Cobberdog plays a big role in the life of a Diabetic and seizure/epileptic. 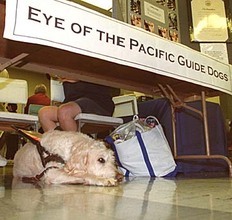 Advanced Therapy dogs are trained in all aspects of a canine good citizen including public behavior and public travel. These attributes are vital to assist carers of adults and children who gain a higher quality of life when aided by a specially conditioned dog particularly when away from their predictable secure daily environments. Therapy advanced dogs are chosen for their intuitive flexible personalities remaining steady during meltdowns or other distressing episodes, these dogs are also invaluable in the aid of classroom motivation and control Many therapy dogs have helped develop vocabulary skills in children who have been withdrawn and non-communicative, Another area the therapy dog is greatly appreciated is in the offices of therapists Psychologists etc where the presence of a dog is calming and facilitates a more productive counseling session. Can be as simple as having one of these amazing dogs as a family pet where the dog can help in so many ways just by being their for you in your times of need. Every year new non for profit assistance dog training emerge they all offer a unique blend of their own talents and abilities with the average dog taking up to 2 years to be ready for certification, being so reliant on donations makes the wait time for the average trained dog little more than a unachievable dream to many. Our program is designed to be self-supporting to enable more frequent puppy availability via sale and also donation. 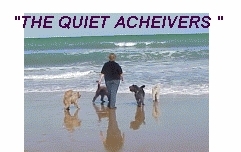 We can achieve this because of the most incredible abilities of the ONLY breed we work with The Australian Cobberdog. The average Cobberdog can start medic alert work at a mere 10 months of age, [many are self learning at a much earlier age prior to any official training] The intuitiveness, intelligence and abilities to read human body language have made the Australian Cobberdog an incredibly adaptive dog. The Australian Cobberdog was the first dog to prove its worth as an Autistic support dog making headlines in newspapers and also a seizure support dog Terms that are now considered normal everyday descriptions. 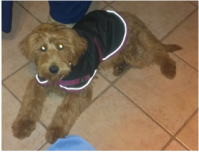 Professional trainers like you to feel inadequate and unable to train your own dog, Our belief and program is the exact opposite, with a little help you can achieve amazing results training your own Tegan Assistance or therapy dog. The current Laws in Australia require a dog to be 18months of age before it is eligible to be certified we hope one day soon this will change to allow exceptional ability breeds or individuals to be certified when they are ready rather than dependent on their age, Although inconvenient your Assistance dog and you can still work as a team and enjoy all the benefits of a certified dog while waiting for certifiable age requirement. Our Awe-inspiring dogs work their magic around the globe, One of our proudest achievements is DOGKING importing and working with Tegan Australian Cobberdogs only, they work they do is heartwarming. 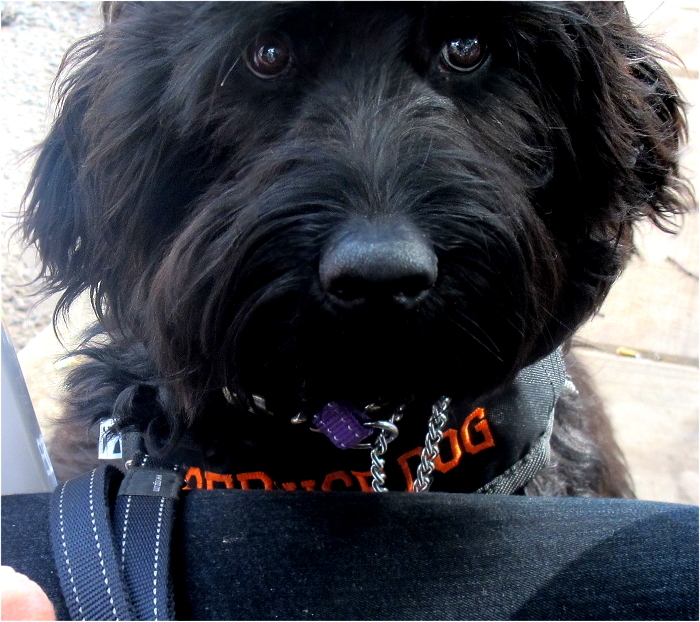 ​We now have our amazing dogs in primary and secondary Schools and even a driving school. Angus Service Cobberdog from Beth on Vimeo.